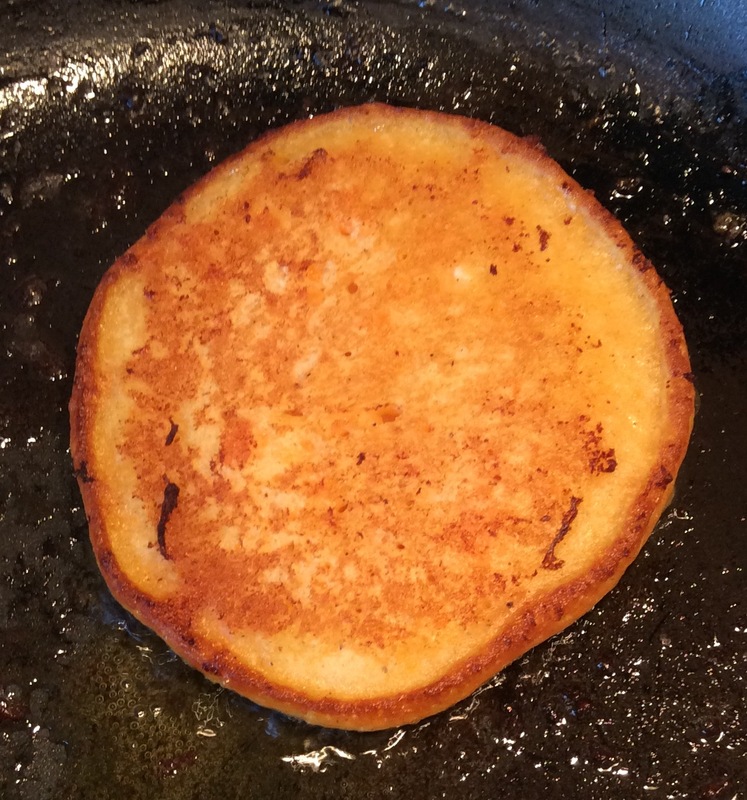 These sweet potato pancakes are the perfect way to start the day! 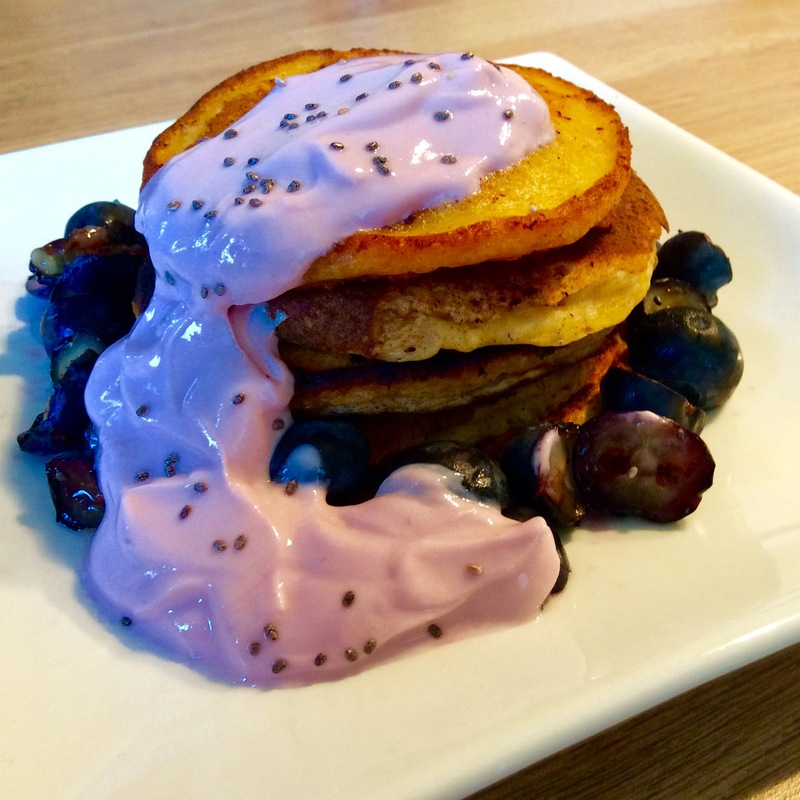 Filling, delicious and featuring the super healthy sweet potato, these pancakes will be enjoyed by the whole family! 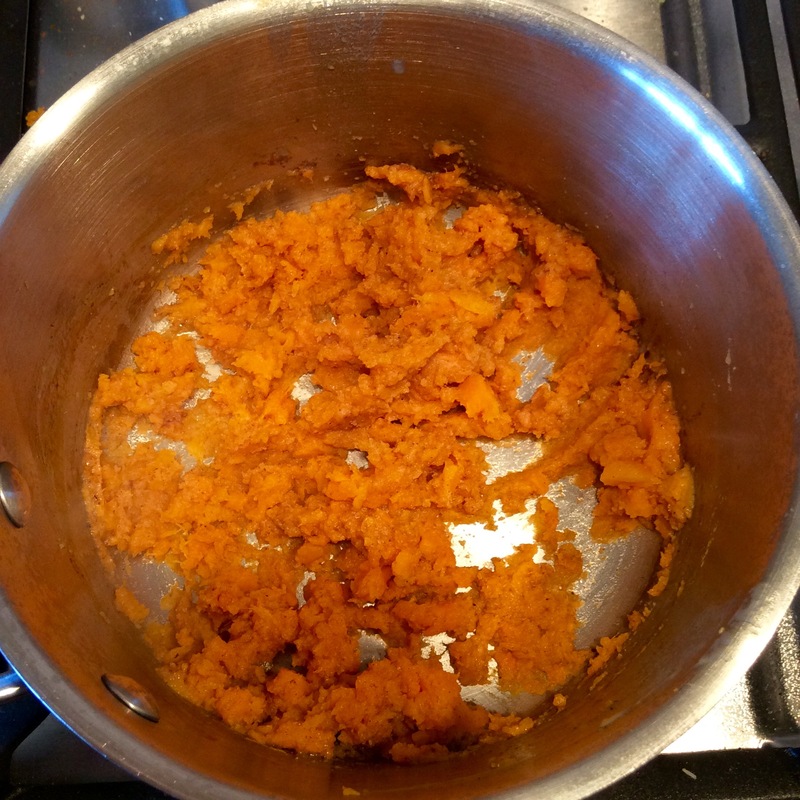 Peel, chop and boil the sweet potato until soft. Mash the sweet potato with the butter, cinnamon and nutmeg. 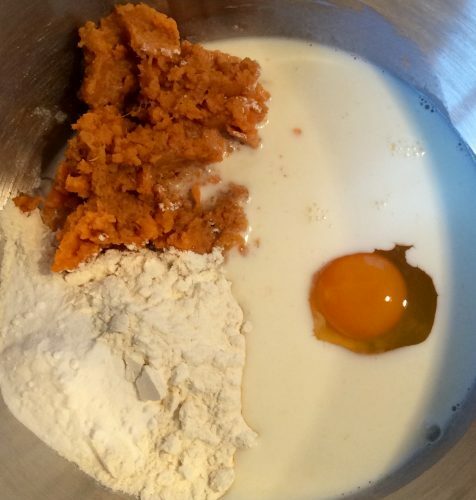 Put the mashed sweet potato, flour, baking powder, milk and egg in a large bowl and mix well. 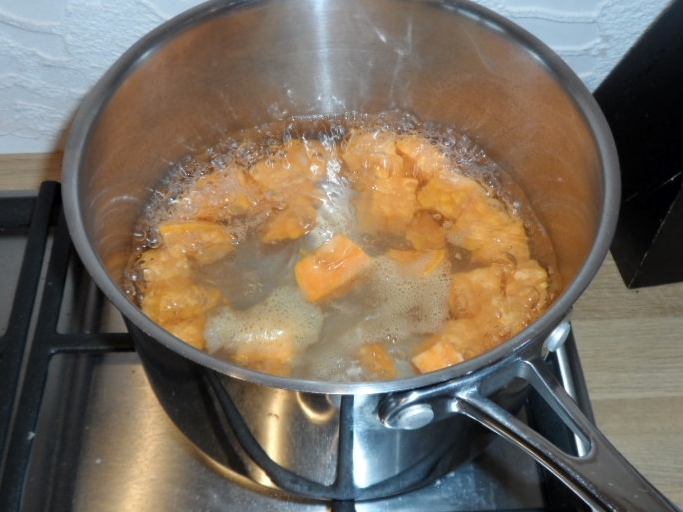 Heat a small knob of butter in a frying pan (you can use cooking spray instead for a healthier alternative). Add a tablespoonful of the pancake batter to the pan. When you start to see little holes appear on the top of the batter, flip the pancake and cook until golden on both sides. Continue making pancakes until you have used all of the batter. We served ours with blueberries, yoghurt and a sprinkle of chia seeds. Also can the milk be substituted with a nut milk? I just made these for my little boy for breakfast. They were a definite hit. Most I’ve managed to get him to eat for breakfast. I’m so glad your little boy enjoyed these as much as Harry! Thank you so much for sharing! Are these suitable for freezing / is the batter suitable for freezing? Or best fresh every time? After freezing how do you re-heat? Thank you – great recipe idea!! This sounds yumm i cant wait to try it for my lb. Starting him on solids when he turns 6mths in 2weeks time. At how many mths can i try this recipe out for him? Honestly, I just judge it by sight, I often make this with leftovers so it can vary. It’s quite a forgiving recipe that you can be flexible with. Hi, I’m excited to try these! Please could you tell me what the consistency of the mixture should be like prior to cooking? Thank you!